Found dead in his truck at his home. A great smile and a wonderful friend from Nettie Marshall. So sad to hear of his untimely passing. Johnny will always be remembered as a good person. R.I.P. my dear friend. 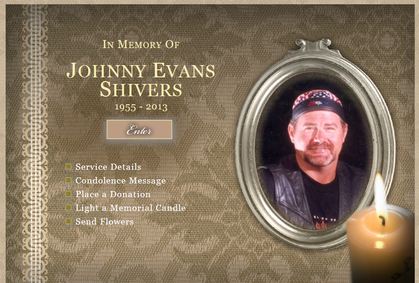 Johnny Shivers, 57, of Nacogdoches died Tuesday, March 12, 2013; Laird Funeral Home. 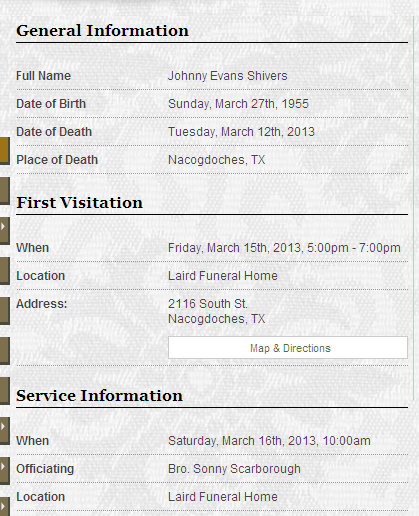 Funeral services for Mr. Johnny Evans Shivers, 57, of Nacogdoches, Texas will be held on Saturday, March 16, 2013, at 10:00 AM at Laird Funeral Home with Bro. Sonny Scarborough officiating. Burial will follow at Sunset Memorial Park. 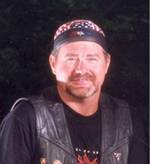 Mr. Shivers was born on March 27, 1955, in Nacogdoches, Texas to the late George Shivers and Maxine Hawkins Shivers. 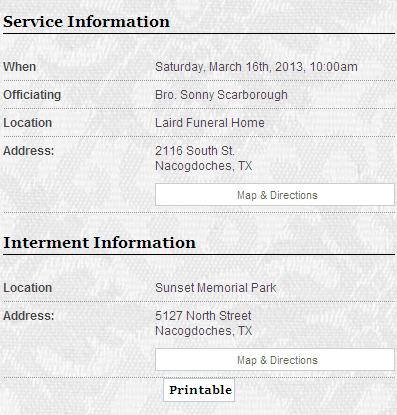 He passed away on Tuesday, March 12, 2013, in Nacogdoches. Visitation will be held on Friday, March 15, 2013, from 5-7 PM at Laird Funeral Home. I will always remember Johnny as a kind and friendly person with a BIG smile. My thoughts and prayers are with his family.